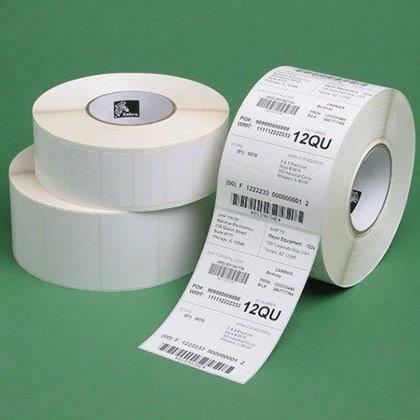 Format 58 mm x 300 m, Topcoated ultra-smooth 60 micron, direct thermal receipt paper, Kiosk Printer TTP2000. Format 210 mm x 260 m, Topcoated ultra-smooth 85 micron, direct thermal receipt paper, für Kiosk Printer TTP8000. Format 60 mm x 300 m, Topcoated ultra-smooth 60 micron, direct thermal receipt paper, für Kiosk Printer TTP2000. Format 82,5 mm x 300 m, Topcoated ultra-smooth 60 micron, direct thermal receipt paper, für Kiosk Printer TTP2000. Format 112 mm x 300 m, Topcoated ultra-smooth 60 micron, direct thermal receipt paper, für Kiosk Printer TTP7030. 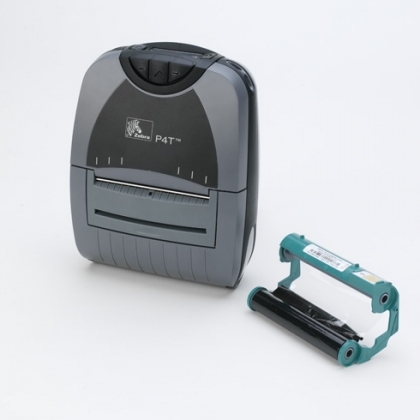 Performance Harz-Qualität, 1/2" Kern, außenbeschichtet, für Desktop Printers. Premium Harz-Qualität, 110 mm x 16 m, Ribbons supplied in cassette format für PT403/PT400. Premium Wachs-Harz-Qualität, 110 mm x 16 m, Ribbons supplied in cassette format für PT403/PT400. Format 168 x 152 mm*, Packing Slip Solution, *Perforation zwischen den Etiketten, Perforation zwischen den Etiketten, für Mid-Range und High-End-Printer. Z-Band Quickclip, 25 x 178 mm, Child size, Each kit contains 6 rolls of Z-Band Quickclip wirstbands (390 bands per roll) and 2,875 white clips. Colour Clips for use with Z-Band Quickclip Wristbands. Colour Blue. 275 Clips/Bag. Colour Clips for use with Z-Band Quickclip Wristbands. Colour Green. 275 Clips/Bag. Colour Clips for use with Z-Band Quickclip Wristbands. Colour Pink. 275 Clips/Bag. Colour Clips for use with Z-Band Quickclip Wristbands. Colour Red. 275 Clips/Bag. Colour Clips for use with Z-Band Quickclip Wristbands. Colour Yellow. 275 Clips/Bag. Z-Band Direct. 25 x 279 mm. Adult size. Printer requires black marking sensing capability. Supplied with perforation and black mark between each wristband, für Mid-Raneg und High-End-Printer. Z-Band Direct. 25 x 178 mm. Child size. 6 Rolls / Box, 300 Bands / Roll. Printer requires black marking sensing capability. 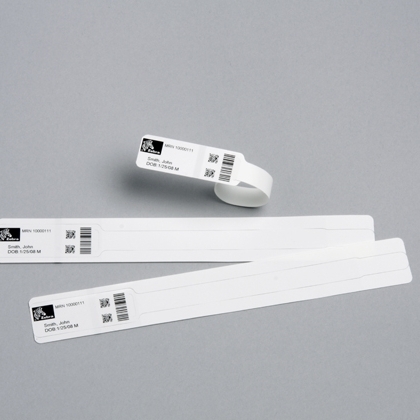 Supplied with perforation and black mark between each wristband, für Mid-Range und High-End-Printer. Z-Band Direct. 25 x 152 mm. Neonatal size. 6 Rolls / Box, 350 Bands / Roll. Printer requires black marking sensing capability. 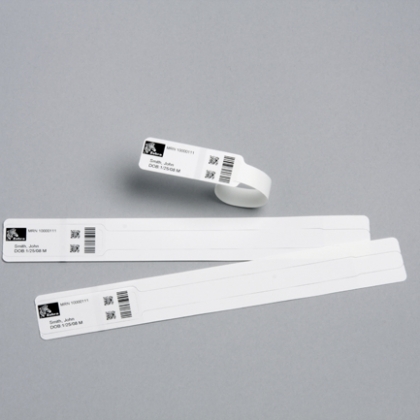 Supplied with perforation and black mark between each wristband, für Mid-Range und High-End-Printer. Z-Band Direct. 25 x 279 mm. Adult size. Red stripes. 6 Rolls / Box, 200 Bands / Roll. Printer requires black marking sensing capability. Supplied with perforation and black mark between each wristband, für Mid-Range und High-End-Printer. Z-Band Direct. 25 x 279 mm. Adult size. 6 Rolls / Box, 200 Bands / Roll. Printer requires black marking sensing capability. Supplied with perforation and black mark between each wristband, für Mid-Range und High-End-Printer. Z-Band 4000 kits. 25 x 279 mm. Adult size. 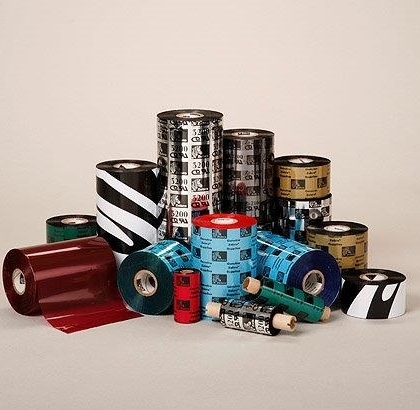 Each Kit contains 3 rolls of Z-Band 4000 wristbands (530 bands per roll) plus 1 roll of 5095 resin ribbon, 40 mm x 450 m, für Mid-Range und High-End-Printer.